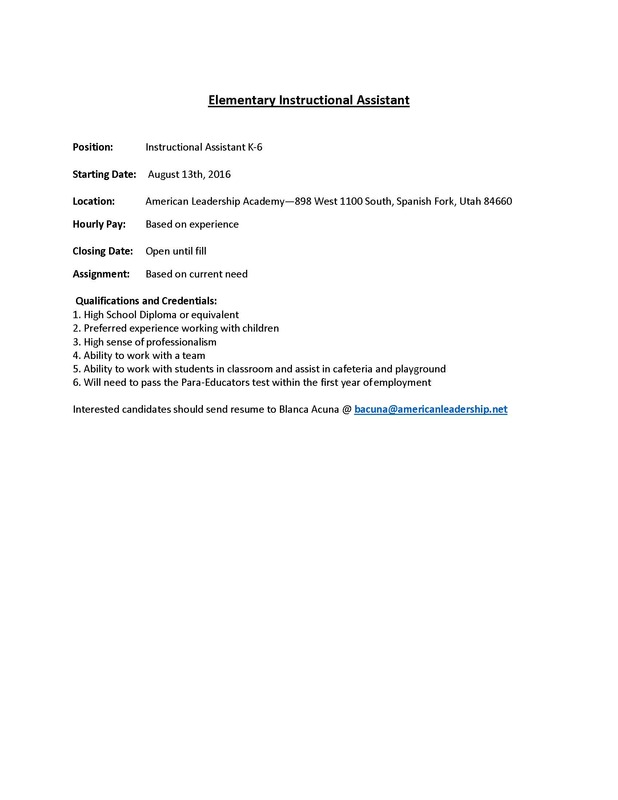 The Elementary School is looking to hire Instructional Assistants for the 2018-2019 school year. Please click on announcement to see job description information. You can download the job description by visiting our Career Opportunities Page.